Bhide’s short story collection, The Devil in Us, topped the list on Kindle as a bestseller in its category of Literary Short Fiction. Her memoir, A Life of Spice, was picked by Eat Your Books as one of the top five food memoirs of 2015. Top Chef’s Padma Lakshmi picked Bhide’s Modern Spice (Simon & Schuster, 2009), as one of the “Best Books Ever” for Newsweek in 2009. The Chicago Tribune named Bhide “one of the seven food writers to watch in 2012”. In April 2012, Mashable.com picked her as one of “the top ten food writers” on Twitter. Her work has garnered numerous accolades and has been included in four Best Food Writing anthologies (2005, 2009, 2010, and 2014). 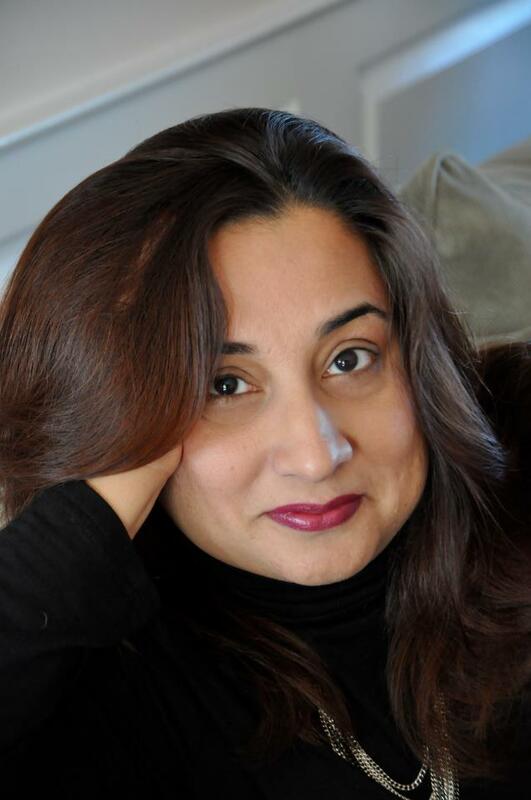 A respected writing authority, Bhide appears regularly on NPR and conducts sold-out workshops on writing, food, culture, and scheduled speaking events at prestigious venues as the Smithsonian Institution, Sackler Gallery, Les Dames d’Escoffier, Georgetown University, and Yale University. She has taught all over the world including conferences in London, Dubai, US etc. She has also been the “Writing Coach in Residence” for the annual conference of the Association of Food Journalists. She was the recipient of the Susan B. Langhorne Scholarship for Food Writers at the Symposium for Professional Food Writers in 2004 and the runner up for the 2005 award. Bhide was a Runner up for the David Leite Scholarship offered by the Symposium for Professional Food Writers in 2008 and a Finalist for IACP’s Bert Greene Award, 2008. 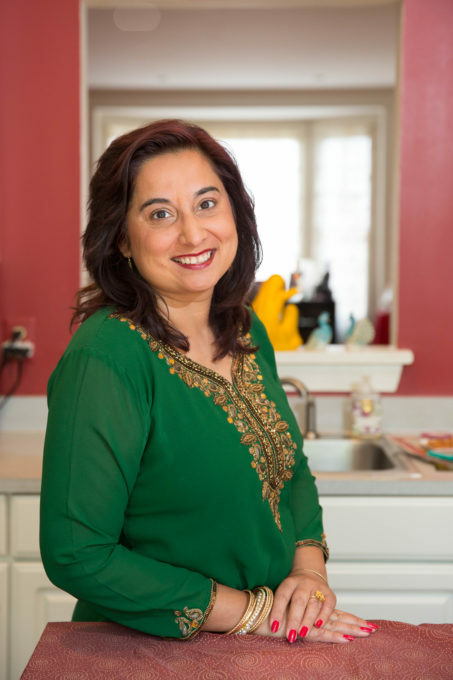 As a noted international food writer, Bhide has built a diverse and solid audience through her books and articles in top-tier media such as: The New York Times, The Washington Post, Ladies Home Journal, AARP-the Magazine, Parents Chicago Tribune (who named her one of the seven food writers to watch in 2012), Christian Science Monitor, Bon Appétit, Town and Country Travel, Food and Wine, Cooking Light, Coastal Living, Health, Better Nutrition, and many others. 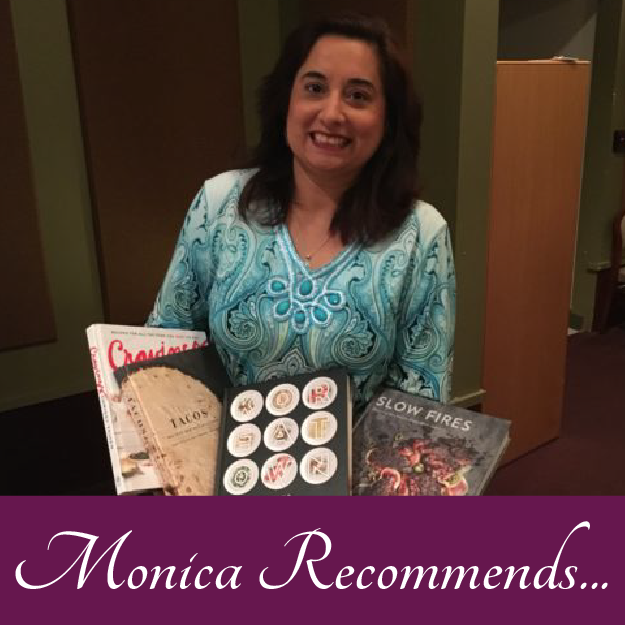 Monica has served on judging panels for scholarships to the Greenbrier Symposium for Professional Food Writers, James Beard Foundation awards, and many other food and writing competitions. Bhide’s culinary forays include discussing truffles with legendary Mumbai chef Imtiaz Querishi; sampling hamur fish on dhows in Dubai; sipping camel’s milk in Bahrain; presenting “Spices and Rices” at the French Embassy in DC, getting lost on the backstreets of Delhi searching for the perfect paratha, and collaborating with DC’s legendary local Chef, Jose Andres. Bhide is a graduate of THE GEORGE WASHINGTON UNIVERSITY, Washington, D.C., and holds a master’s degree from LYNCHBURG COLLEGE, Lynchburg, VA and a Bachelor’s degree from BANGALORE UNIVERSITY, Bangalore, India. She feels fortunate for her rich, multicultural education and enjoys giving back to the global community by serving on committees and volunteering for Les Dames d’Escoffier, The International Association of Culinary Professionals, and at her children’s schools in Northern Virginia. She lives in Virginia with her husband and two sons.